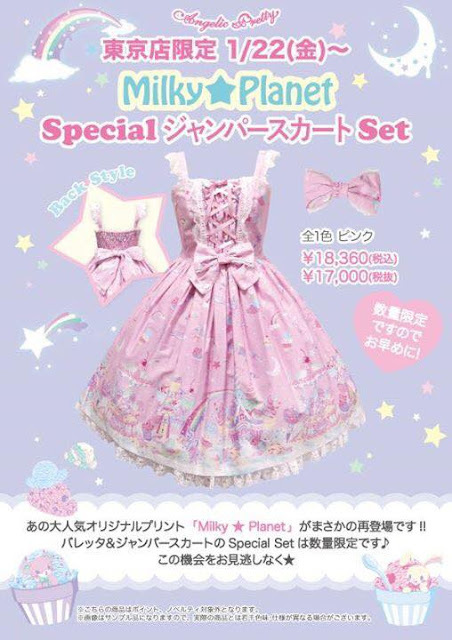 They are releasing a Milky Planet special set for the sale in Tokyo. As many of you might know this is one of my favorite prints! The cut seems to be very plus size friendly with full shirring on the back and additional front shirring. Both dresses have the same cut! They make the cut more simple for the special sets so that they can sell it cheaper, but I think milky planet loses sooo much without the scalloped bottom part. It was the same with the rerelease earlier, didn't have it. With Dreamy Babyroom I just think its too bad that they picked a black colorway. I generally don't like black colorways with pale prints. Though I'm just happy that there will be more ott sweet prints available. They are released in store today. Do you know if this is an in store release only or if it will be on the online shop? 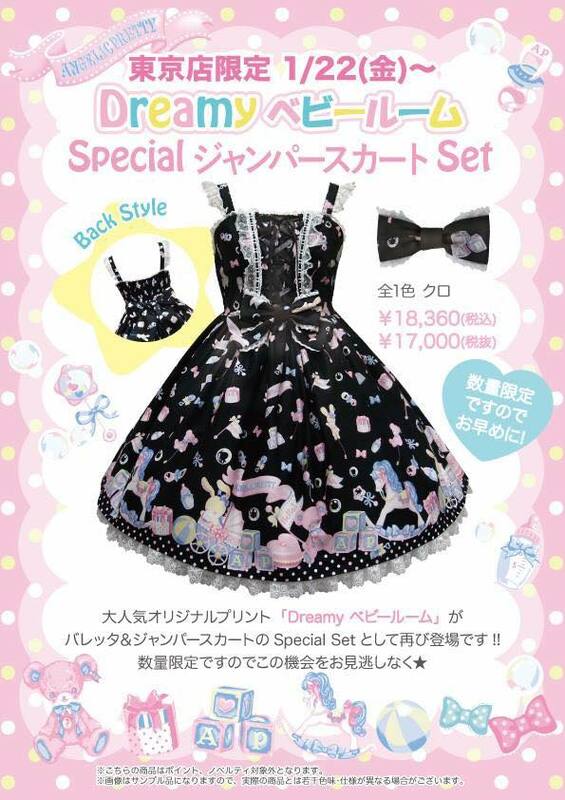 Angelic Pretty: 8 upcoming print releases!